Scott Christopher Homes has been awarded “Best of Houzz 2015” for both Design and Customer Satisfaction. Houzz is the leading platform for home remodeling and design, providing people with everything they need to improve their homes. From decorating a room to building a custom home, Houzz connects millions of people around the world. With the largest residential database in the world, Houzz is the easiest way for people to find inspiration, get advice, buy products and hire local professionals. The Design award is given to businesses whose work is the most popular with the 25 million monthly users on Houzz in 2015. Customer Satisfaction honors are determined by factors including the amount and quality of client reviews received in 2015. Kind Words For Our Team! It’s always great to hear from our clients! Kevin and I would like to thank you for a great year! It has been a pleasure working so hard on our new home. SCH has outdone what we expected and Jay and Drew have taken care of all the little glitches that have come up. Thanks to all of you for making our home and building experience a truly wonderful experience. Here’s What Our Clients Are Saying! Thank you to Ron and the team! Ron is fantastic to work with and has great ideas! He listens and executes in an impeccable way. We are extremely happy with how you performed in this project! Surpass Renovations “Serene City Dwelling” Shines on HOUZZ! Surpass Renovations is featured on HOUZZ! Scott Christopher Homes and Bekins create an amazing home with the perfect blend of beauty and technology. Just a quick report on our meeting with Kay today. All I can tell you is if I ever decide to start up a business, you will lose one of your staff! What a blessing and an ASSET you have in that gal. I’m sure you already know that however, I thought I would tie up a little of your time telling you again! We weren’t sure how the day would go but, we left your office feeling very confident that there is not a better builder to do business with. Thanks to you and your staff on how you do business. Your web slogan is absolutely correct when we are told the best surprises are pleasant ones! I want to personally thank Kay for her calm demeanor and knowledge of what is best for our situation. She was very helpful in every area of the process. Thank you, Kay! Thank you SO much, Scott. We’ve talked about it before and I’m sure we’ll talk about it many more times… Your personal desire to do the best that can be done and do whatever needs to be done is second to none. I know that you run your entire business that way and it is clearly reflected in everything that SCH does. I try to do the same with my company and I hope that I could be even half as successful at it as you are. Your immediate help today is but one example of you and your entire team’s dedication and excellence. PENTWATER, Mich. – Scott Christopher Homes, the Grand Rapids, Mich.-based builder of some of Michigan’s finest homes, has opened a new office in the northern Michigan village of Pentwater targeting renovation work but also offering new builds for its clients. The homebuilder will hold an open house at the new office, located at 144 Hancock Street, from 5–8 p.m. on Friday, May 30, during one of the village’s monthly Gallery Strolls. Visitors are invited to stop by, check out the space, and enjoy a complimentary glass of wine. The Oceana County office opened for business in late May, says Drew Terwee, client development specialist at Scott Christopher Homes. For more that 30 years, Scott Christopher Homes has specialized in building and renovating amazing lakefront homes and cottages throughout Michigan, from the border to the bridge. “We have assembled a vast network of talented and dedicated artisans, craftsmen, and laborers, while perfecting flexible and efficient construction systems,” Terwee says. “We partner with architects, residential designers, and homeowners to forge a seamless building process that allows for the possibility of on-site fine tuning and architectural tweaking as each home takes shape. Initially, there will be a representative at the new office during different hours, but an appointment can be arranged for anytime by contacting client development specialist, Ron Rutkowski at (231) 241-1000. “It will be a great place to meet to discuss their projects, and it will allow us to showcase our work so our clients have a good understanding of what we have to offer,” Terwee says. Scott Christopher Homes builds custom homes and high-end luxury homes for clients who demand accurate proposals, expert service and a high level of professionalism. Visit our website to learn more. Scott Christopher, or more specifically his renovation company Surpass, did a spectacular job completely remodeling our 1946 Cape Cod lake house. 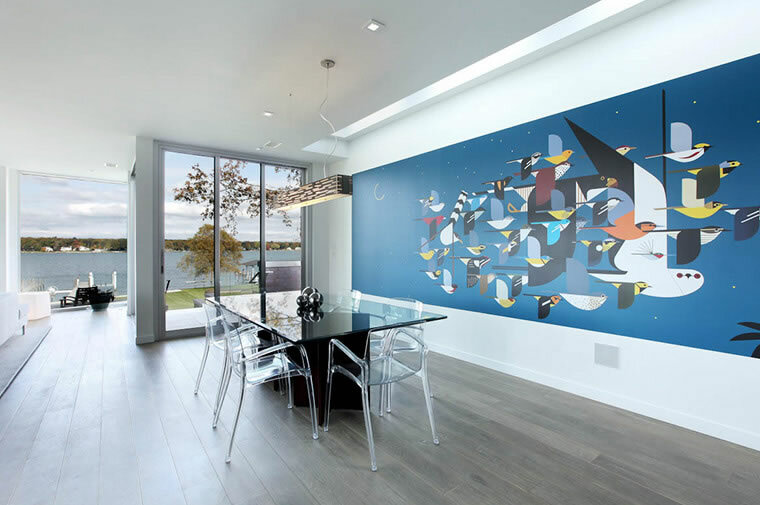 Previously it had very limited views of the lake but today, with the addition of a new kitchen space and elimination of numerous walls, the lake is visible from virtually every room. While the house has clearly been modernized his cabinet makers and workmen preserved the traditional feel of our old house. In addition, we signed on with a specific finish date in mind, December 24, giving them barely 4 months to complete. Although it frequently required weekend construction, which we lived through, they were done on the 20th. Scott Christopher Homes along with J. Visser Design and many great sponsors recently participated in Bark Prize, a fundraiser organized by the Bissell Pet Foundation. 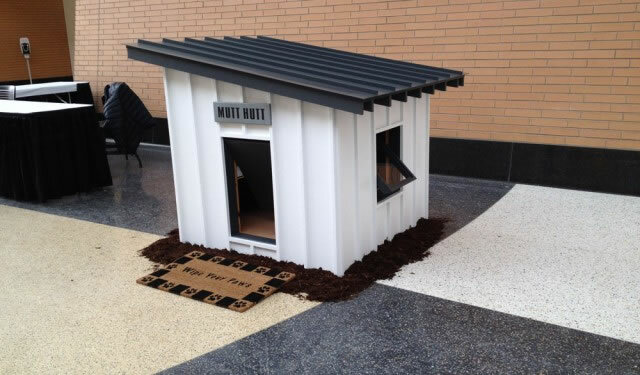 Several amazing dog houses were on display at DeVos Place during the Home and Garden show last week. Our modern Mutt Hutt helped raise $4000 for animal shelters and rescue organizations in West Michigan and across the country.